“We are the owners of agroecology. It is shaped by farmers and other small-scale producers and its sophisticated theoretical and political constructions is what makes agroecology unique and resistant to co-optation by the neo-liberals” says Naseegh Jaffer, General Secretary of the WFFP. Global social movements gathered at the Nyéléni Center in Sélingué, Mali from 24 to 27 of February, 2015, to come to a common understanding of agroecology as a key element in the construction of Food Sovereignty, and to develop joint strategies to promote agroecology and defend it from co-optation. 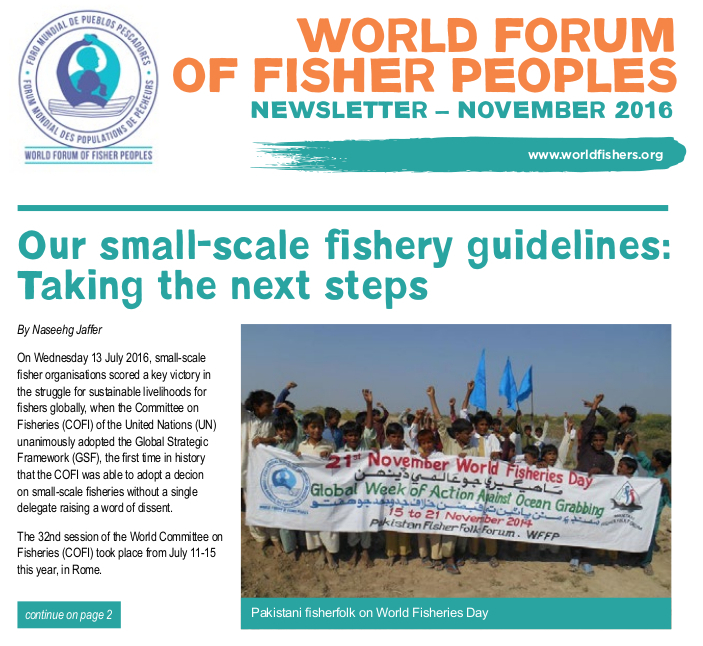 The World Forum of Fisher Peoples was represented by Mr. Naseegh Jaffer, Masifundise, South Africa and Ms. Magline Peter of the National Fishworkers Forum, India. “Our presence was crucial” says Ms. Peter. 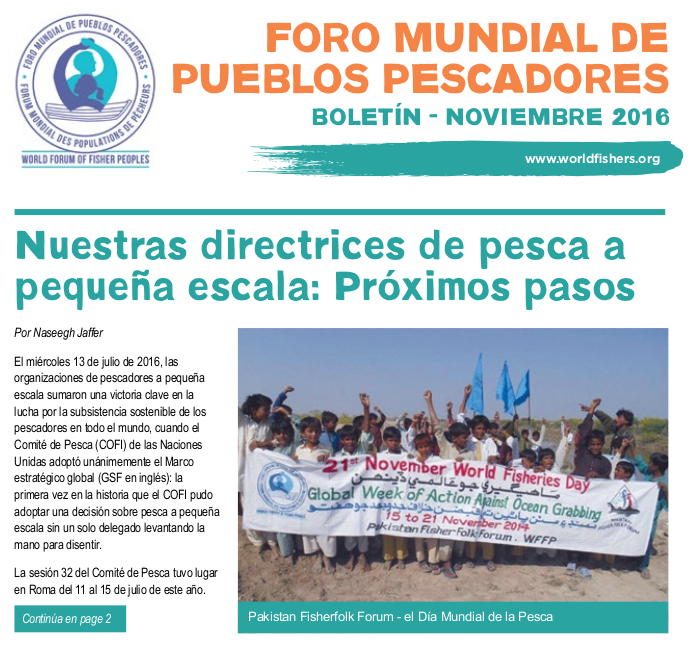 “It gave us new insight and knowledge about the importance of agroecology for our fishworkers, and how we can build on agroecology in the struggle against Ocean Grabbing”. The declaration issued by the Forum underlines that agroecology is rooted in food production systems that have existed for thousands of years and describes its pillars and principles. The declaration also makes it clear that we are facing multiple crises where the corporate food-production machine is one of the biggest threats destroying mother earth. It is evident that agroecology spans across different food production systems. Up until now it has mainly been associated with peasants movements, but the Nyeleni meeting could be the critical turning point for small-scale fishers. 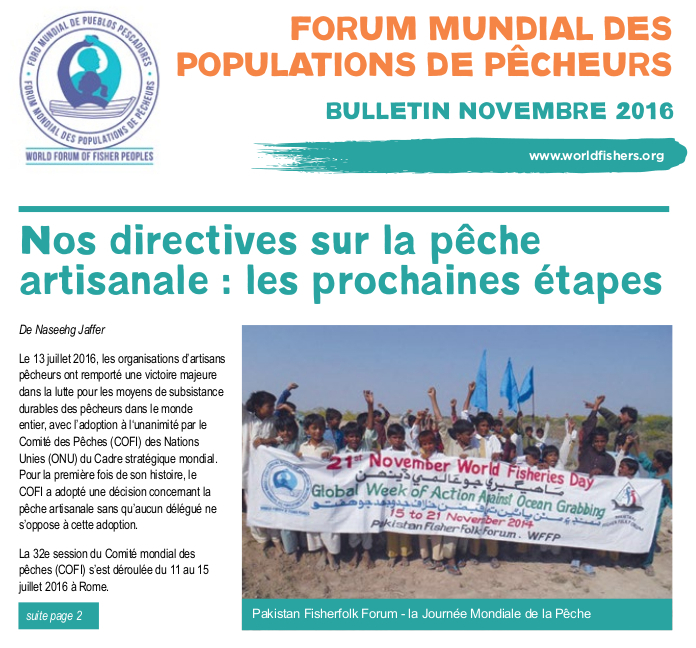 The declaration is the first on agroecology to place fishers next to peasants and other social movements.